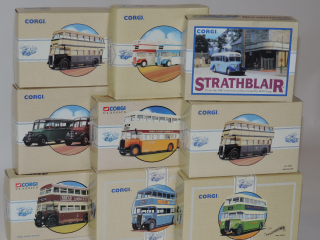 Corgi 1:50 Die-Cast Coaches in different Models and Brands Mint in Box. #97765. #97078. #97875. #97201. #97313. #97050. #97201. #97199. #97198. 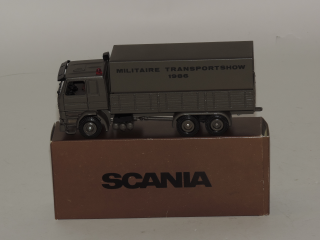 Tekno 1:50 Scania 142-H Militaire Transport Show 1986 with Certificat SN096 Near Mint in Original Box. 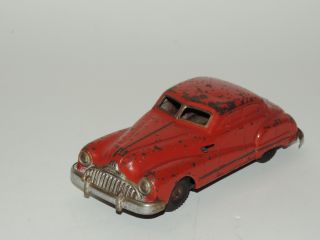 Gama Patent Schuco Licence Tin plated Wind-up Buick 1948 with Gama wind-up key. Clockwork is tested and works. what gear is bit worn. 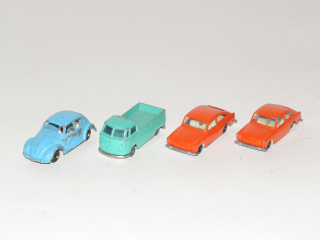 Efsi-Husky-Marx 1:87 Die-Cast Volkswagen models, Excellent. 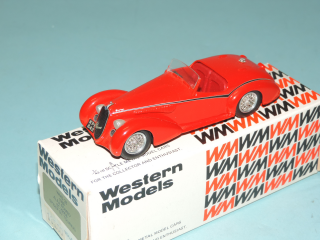 1x Marx Hong Kong VW Beetle 1960. 1x Husky U.K. VW T-1 Pick-up. 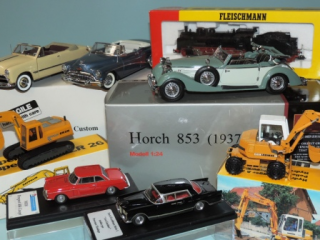 2x Efsi 408 Made in Holland, VW 1600 TL. 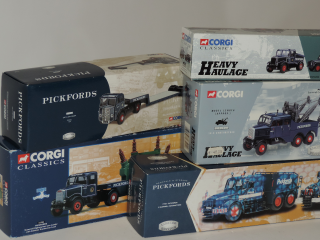 Corgi 1:50 2x Scania trucks Near Mint in Box. #CC12817 Scania 144L T Cab-Torpedo C.E. 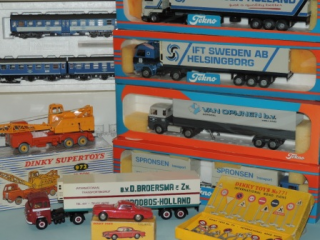 Fuller & Son. 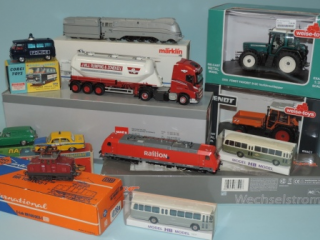 #CC12910 Scania 124 Topline with Sail Trailer H.J. 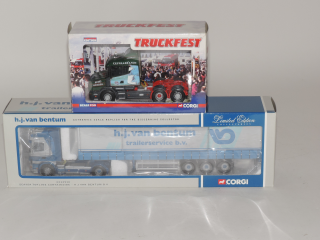 van Bentum. 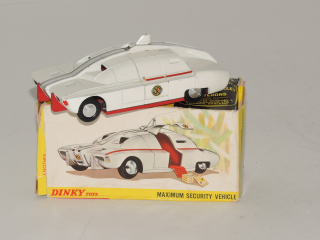 Dinky Toys 105-J, Maximum Security Vehicle Based on Captain Scarlet and the Mysterons. 137 mm 1968-1975. Excellent in poor Box. 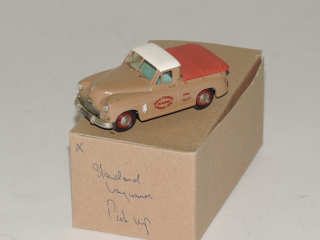 Kenna Models 1:43 Standard Vanguard Pick-up Henley Transport Near Mint. Mirrors are Present. this is number 136 out of 150. No Original box. 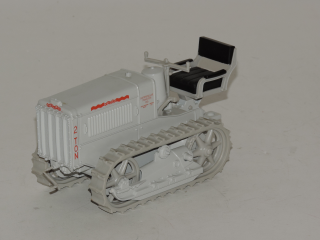 Norscot 1:16 Caterpillar 2 Ton Track Tractoc Crawler 1928 Near Mint. 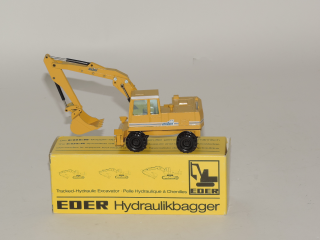 NZG 239 M 1:50 Eder 835 Wheeled Hydraulic Excavator Generation of the 80's, Near Mint in Box. 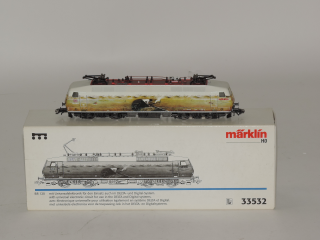 Marklin 37440 H0 E44 Electric General Purpose Locomotive Near Mint in Box. Looks like this item is testrun only. 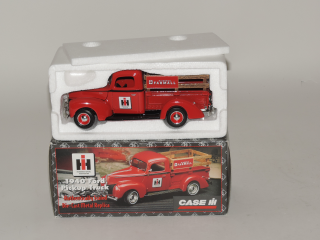 ERTL 4367CO 1:25 Die-Cast IH Farmall 1940 Ford Pickup Truck Near Mint in Box. 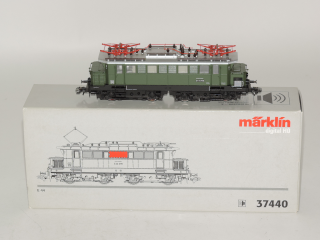 Marklin 33532 H0 BR20 Electric Locomotive DB Near Mint in Box. 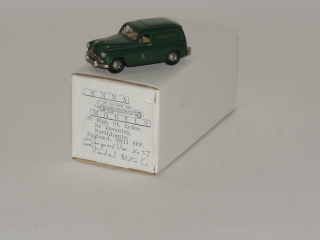 This item is Converted with Digitsl Plus LE1025A by Lenz. 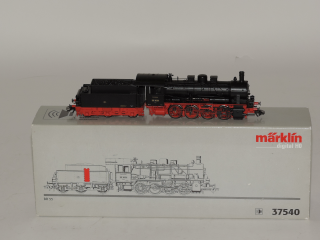 Marklin 37540 H0 BR55 G8.1/BR55 Steam Locomotive with Tender DRG Near Mint in Box. 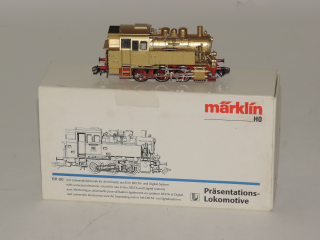 Marklin 33049 H0 BR80 Presentation Locomotive GOLD Mint in Box. 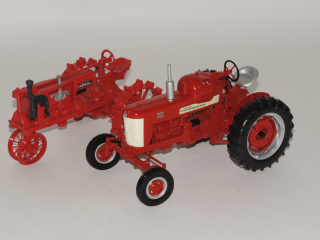 This item is Converted with Marklin 60770 Decoder Set. 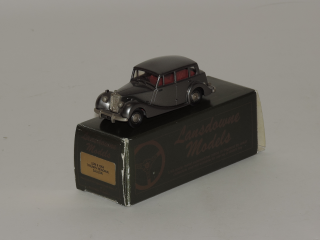 Lansdowne/Brooklin models LDM8, 1954 Triumph Renown Saloon Near Mint in Box. 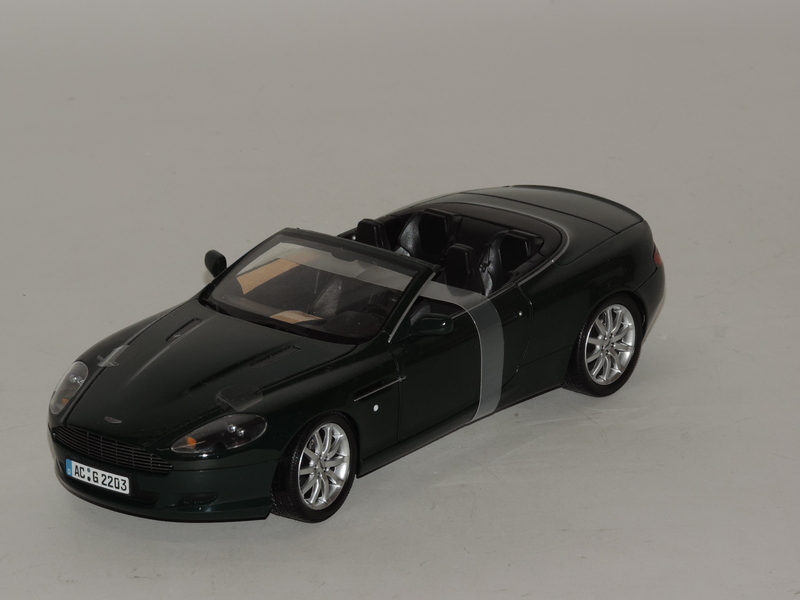 Minichamps Pauls Model Art 1:18 Aston Martin DB9 Volante Excellent Condition because of the paint on the hood and trunk, no scratches but something on the paint from package materials? 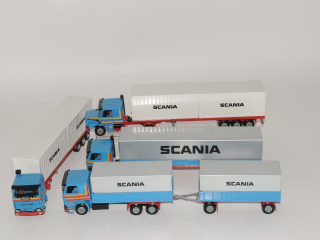 Tekno 1:50 Scania 4x Demo Models type 142-H Near Mint. 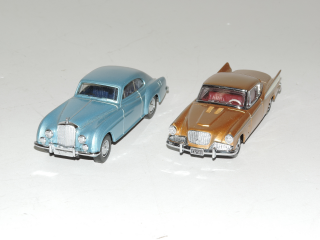 3x Scania 142-H, 1x Scania 142-H Torpedo. 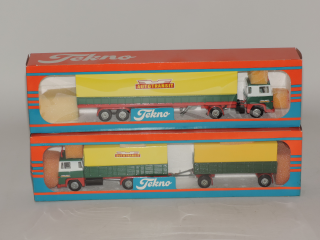 Tekno 1:50 2x Scania Truck with Trailer-Combination Near Mint in Box. 1x Scania 141 Truck with trailer Fa.Autotransit. 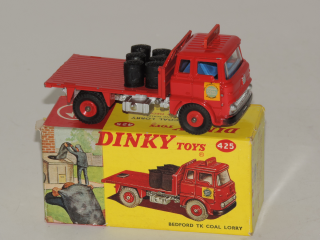 1x Scania 143 Truck Combination (code 3) Fa. 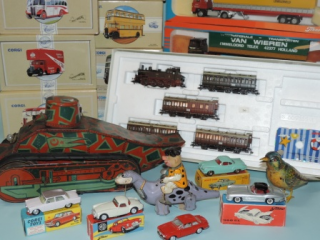 Autotransit.